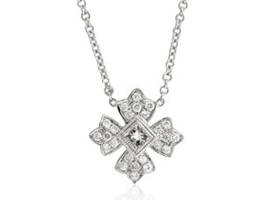 Diamond pendant .30ct. Feel strong and be confident. Let this be your LUCKY necklace.